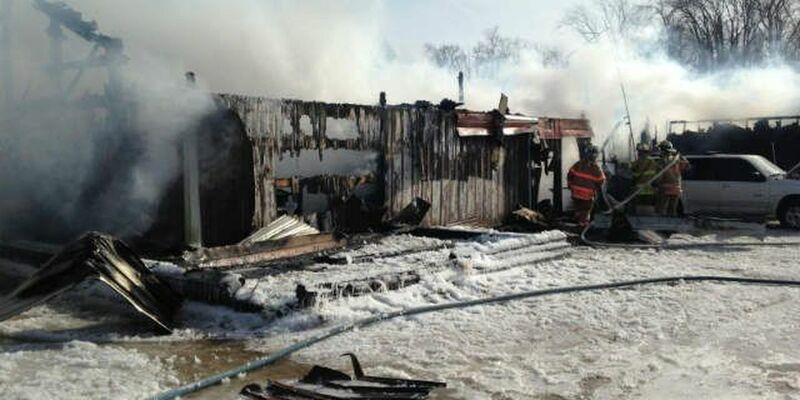 The fire started around 11:30 a.m.
TALLMADGE, OH (WOIO) - Fire officials in Tallmadge say a space heater being used to unfreeze pipes is what caused a fire that killed 15 horses in barn last week. Crews were called out to Mindale Farms at 892 East Howe Road around 11:30 a.m. on January 8, 2015. When firefighters arrived, the barn was fully engulfed in flames. Before crews got there, Mindale Farms workers tried to get the animals out, but the flames were just too intense. Several fire departments helped battle the blaze. The horses range in age from a couple years to a 20-year-old. Firefighters were called back out Thursday night to put out a hot spot. The farms insurance company will determine the value of the loss.